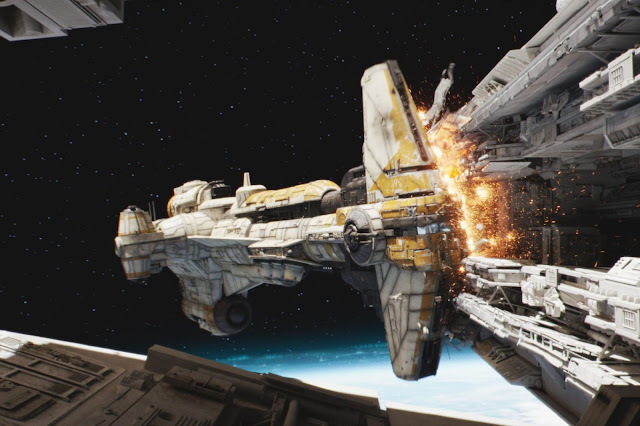 One of Rogue One: A Star Wars Story's biggest fist-pump moments was the scene in which a Hammerhead Corvette is used as a battering ram to push one Star Destroyer into another. Recently we learned more about how the Hammerhead ship made its way from Star Wars Rebels to Rogue One. Now we have acquired some key information about the fate of the Hammerhead and her crew. Be sure to check out the full interview over at EW, which includes John Knoll's ideas about what happened to those jettisoned escape pods. In the novelization it seems pretty clear that it was intended as a suicide mission. What about the rebel fleet? Same as Grievous in battle over Coruscant?